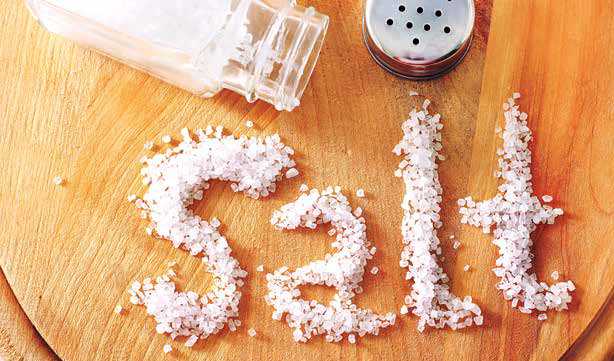 Nine brands of iodised salt (seven brands of regular iodised salt and two brands of low-sodium salt) were selected for the Surveillance Series. Primarily, all brands were tested for sodium chloride and iodine content. The national standard requires both to be not less than a certain amount in food-grade iodised salt. Read on to get the low-down on some essential attributes that you must know about what is possibly the world’s oldest-known food additive. You can see list of our CV Surveillance Series- Iodised Salt below, perform Side-by-Side comparison. If you need further help, do have a look at Conzumr Guides and Tips. Alternatively you can view all Iodised Salt to choose your own favourites. 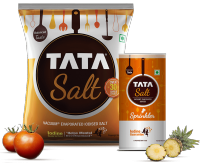 Low-sodium salt is a specially formulated salt that provides lower sodium than ordinary salt by partial replacement of sodium chloride with potassium, magnesium and calcium compounds. It is generally consumed by people with symptoms of hypertension and high blood pressure. Tested value (33.77 gm) less than Claimed value 0(35.3 gm). Hence, beneficial for consumers. 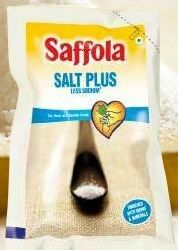 Salt Plus (Less Sodium) : Tested value (33.77 gm) less than Claimed value 0(35.3 gm). Hence, beneficial for consumers. Was in high-density polyethylene (HDPE) packaging. 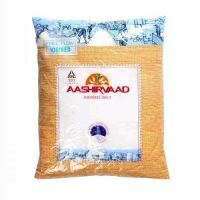 Aashirvaad Salt : Was in high-density polyethylene (HDPE) packaging. Was in high-density polyethylene (HDPE) packaging. Iodised Salt : Was in high-density polyethylene (HDPE) packaging. Was in high-density polyethylene (HDPE) packaging. Salt : Was in high-density polyethylene (HDPE) packaging. Was in high-density polyethylene (HDPE) packaging. 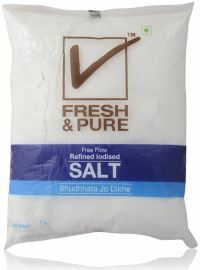 Shudh Salt : Was in high-density polyethylene (HDPE) packaging. Was in high-density polyethylene (HDPE) packaging. 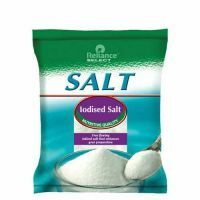 Select Iodised Salt : Was in high-density polyethylene (HDPE) packaging. Was in high-density polyethylene (HDPE) packaging. Salt Iodised : Was in high-density polyethylene (HDPE) packaging. Was in high-density polyethylene (HDPE) packaging. Salt Lite (Low Sodium) : Was in high-density polyethylene (HDPE) packaging. Was in high-density polyethylene (HDPE) packaging. Salt Plus (Less Sodium) : Was in high-density polyethylene (HDPE) packaging. Had labelling as required. Aashirvaad Salt : Had labelling as required. Had labelling as required. Iodised Salt : Had labelling as required. Had labelling as required. Salt : Had labelling as required. Had labelling as required. Shudh Salt : Had labelling as required. Had labelling as required. Select Iodised Salt : Had labelling as required. Had labelling as required. Salt Iodised : Had labelling as required. Had labelling as required. 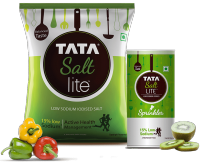 Salt Lite (Low Sodium) : Had labelling as required. Had labelling as required. Salt Plus (Less Sodium) : Had labelling as required.